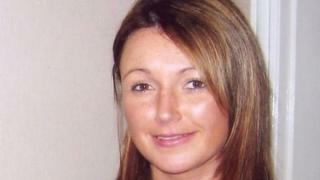 A UK-wide attempt by police using DNA to identify a suspect in the case of missing chef Claudia Lawrence has failed. Detectives travelled across the country trying to match up the sample taken from Miss Lawrence’s car. York chef Claudia, then 35, disappeared on her way to work in March 2009. Officers believe she was murdered. The DNA sample was found on a cigarette in her car, which was in a garage being repaired when she vanished. North Yorkshire Police officers had hoped to find a “familial DNA” match that would lead them to a suspect, but they have drawn a blank. Despite a major investigation and a number of arrests, no-one has been charged in connection with her disappearance. The case remained open, said the force. Miss Lawrence, from the Heworth area of York, disappeared on her way to work at the University of York. The last contact anyone had with Miss Lawrence was when she spoke to her mother by phone on 18 March 2009. She failed to attend work the following day and was reported missing. Det Supt Dia Malyn, who is leading the investigation, has said the team failed to find the breakthrough they were hoping for. Mr Malyn said: “This is naturally very frustrating for the investigation team and our thoughts are very much with Claudia’s family who remain desperate for a breakthrough. “The family have been updated about the completion of this work. Police said in January 2017 the line of inquiry relating to a DNA profile would take a further six weeks. The operation involved obtaining evidence by consent from people who had similar DNA profiles to the unidentified samples recovered during the search. There was also work done to reconstruct Miss Lawrence’s DNA for elimination purposes, the force added. People who had visited Miss Lawrence’s house or been in her car for any reason and had not yet come forward should contact the force, it added.